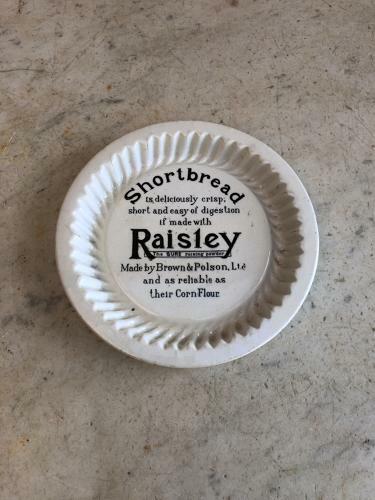 Lovely condition Early 20th Century White Ironstone Advertising Shortbread Dish for RAISLEY RAISING POWDER. Black on white "Shortbread is deliciously crisp, short and easy of digestion if made with RAISLEY - The Sure Raising Powder. Made by Brown & Polson Ltd and as reliable as their Corn Flour."